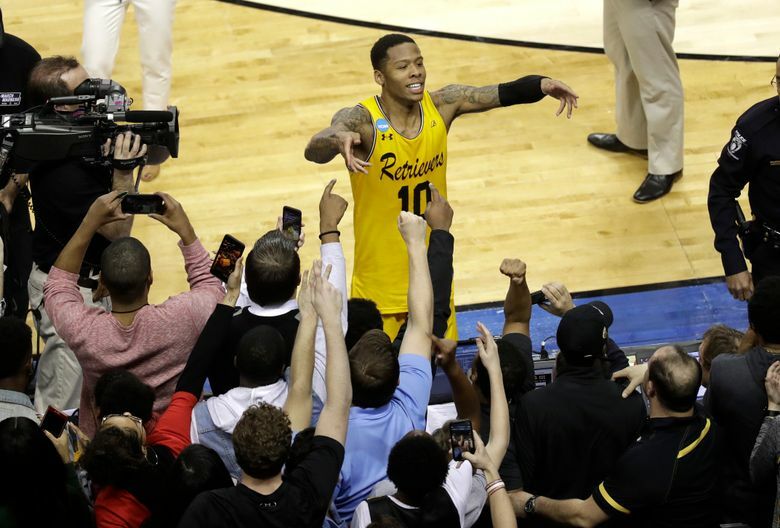 CHARLOTTE, N.C. (AP) — As the sun rose on the Saturday morning celebration of their unprecedented NCAA Tournament upset, Ryan Odom implored his suddenly-famous basketball team to get some sleep. It was time for family and friends of UMBC to leave the hotel and for the Retrievers to return to their rooms. On any other night, they’d have started a “Fortnite” video game battle to unwind. 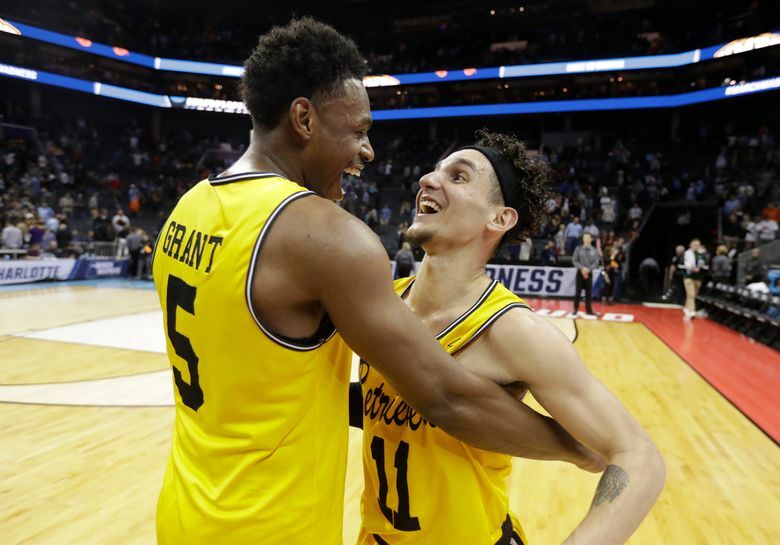 UMBC had made history as the first No. 16 seed in NCAA Men’s Tournament history to knock off a No. 1 seed and the texts and the calls never stopped buzzing. And it wouldn’t take more than a quick scroll to find out they were trending. UMBC is a commuter school in Baltimore — one in which the chess team reigns supreme, no less — and they had just checkmated No. 1 Virginia. The bracket-busting sweethearts were suddenly linked with Buster Douglas, the Miracle on Ice and Chaminade on the short list of sports all-time upsets. “I’m getting so many notifications that my phone froze,” said K.J. Maura, the emotional floor leader who played all 40 minutes Friday night. Joe Sherburne, who drained three big 3-pointers against Virginia, spent his newfound time in the spotlight hoping NFL quarterback Aaron Rodgers will notice him. Sherburne is a Wisconsin native who wasn’t recruited by anyone but UMBC. On one of his few chances to shine on the sport’s biggest stage, Sherburne hit a second-half 3 and mimed Rodgers’ trademark “discount double-check” celebration. “I’m his biggest fan. I want him to see it on TV, (so) if anybody knows him …,” Sherburne said. He didn’t pack enough clean underwear for two rounds of the tournament, and could use another pair. And he’d appreciate it if people would learn UMBC’s correct mascot. They were a different kind of dog before tip — a 20 1/2-point underdog to the ACC champs. Hey, they’ve whittled it down to 10-points against the Wildcats. It’s the University of Maryland, Baltimore County, not — as newspaper headlines and TV analysts suggested — U Must Be Cinderella. 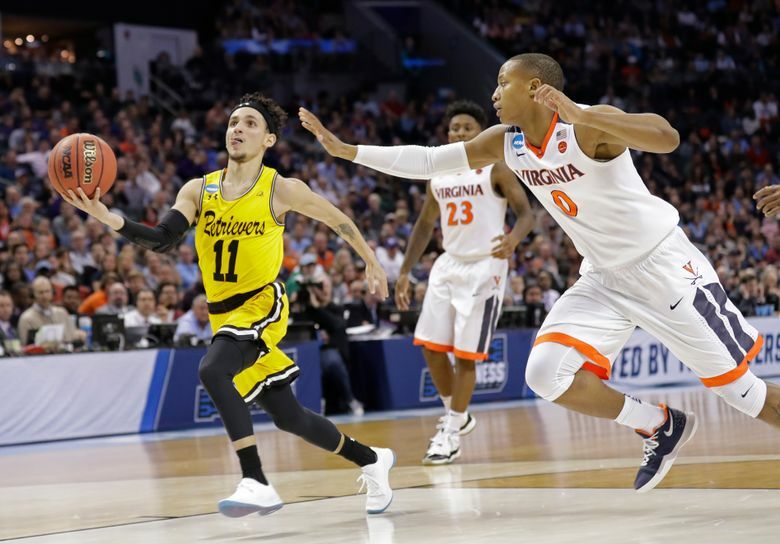 But if the slipper fits, UMBC is happy to wear it and basked in its 15 minutes of fame. Odom wasn’t going to deny them their time. 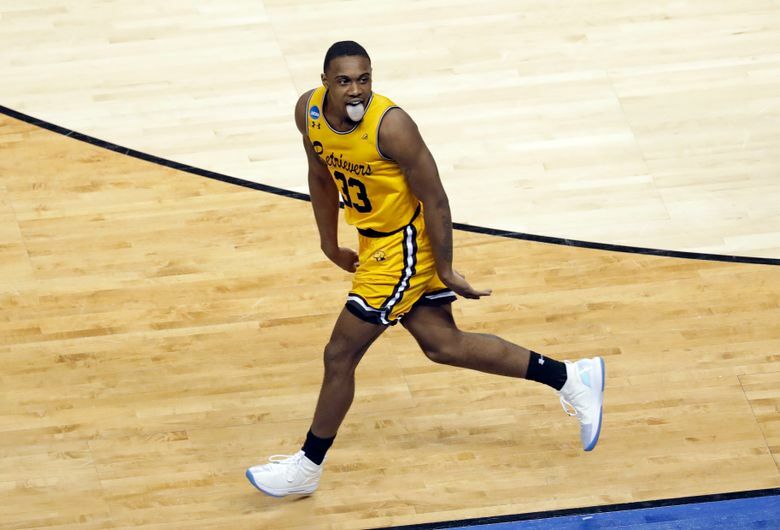 Luke Maye, Kenny Williams and Cameron Johnson represented defending national champion North Carolina in Saturday’s news conference at Charlotte and not one of them had ever heard of a player on the UMBC roster. “Jairus Lyles was at VCU,” said Williams, a Virginia native. Lyles wouldn’t leave the Baltimore school because of his fondness for school president Freeman Hrabowski III. He leads a school whose chess team boasts six national championships and in February finally moved its basketball team to a state-of-the-art arena instead of its decades-old Fieldhouse. UMBC’s glossy new basketball facility seats 5,000 — a far cry from the stage it played on Friday night in front of 20,200 at the Charlotte Hornets’ arena. These players are so connected, they claim, that they twice blew off Odom’s game-closing call against Vermont in the America East conference championship. The NCAA Tournament berth was on the line and Odom wanted Maura to run a handoff play. “We wanted to isolate Jairus and let him take it. Then he called another play and we also said, ‘No, we don’t want to screen. Jairus one-on-one. We knew he was going to take the shot and make it,” Maura said. “We’re not satisfied. We go in with the mentality we’re going to win another game,” Maura said.